The ostensible intricacies of greenhouse growing might serve as an impediment to your efforts in undertaking this task. Nevertheless, these professed complexities will not have a hold on you once you get to know the process of greenhouse growing inside out. What Should You Plant and Why? If you are trying your hand at greenhouse cultivation for the first time, it is advisable that you initiate this practice with plants are proven stalwarts and are known to be resistant to the commonest strains of diseases. If you start this process with a genus of plants that are to be taken care of meticulously, it will ensue into too big of a commitment. Furthermore, these plants are more susceptible to be plagued with aphids despite being looked after regularly. Besides a benefit of greenhouse cultivation is the possibility to extend the growing season, for instance, prolonging the spring or the summer growth to the point where you might be able to grow a crop the whole year round. Make sure you arrange for all the supplies, like vital seeds, containers and watering equipment ahead of time. It is recommended that you settle for a method by which you can sustain a stable, warm temperature throughout the year. Appliances like electric heaters are inexpensive, come in different sizes and styles, and are pretty easy to install. 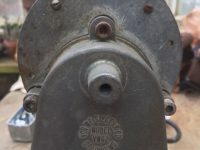 Gas heaters are another viable option but require proper ventilation: both a constant inflow of fresh air for combustion and a channel for fume exhaustion. Glass Garden Builders, for instance, has an exhaustive range of thermostats and heating equipment for you to choose from in accordance to your needs. 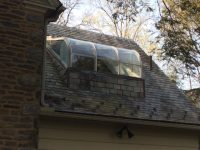 Apart from this, you might even want to consider a no-appliance strategy, where you can use large rocks and other heat-absorbent materials in the greenhouse to gradually soak up and retain the natural heat of the surroundings. Ideally, your produce will thrive in a fertile soil composed of one part rich garden loam and one part compost. You could even try adding peat moss to the mix. On top of that, well-aged manure, bone meal and wood ashes might be good supplements to your soil. Glazing provides additional protection by letting the sunlight in while keeping the other unfavorable elements out. Usually, glass is the most feasible option for this provision, but it also happens to be quite expensive. Plastic sheeting is a cheaper alternative and works satisfactorily. However, it is prone to deteriorating at an accelerated rate. Polycarbonate is more cost-effective and it better at retaining heat when compared to glass or plastic. It also happens to be quite flexible, thereby having the ability to be used on most surfaces and is tensile and tenacious. 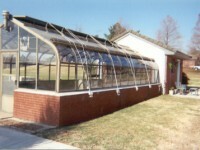 Building a greenhouse all by yourself, especially when you are inexperienced, can prove to be an intimidating task. To counter this, you might want to consider hiring professional greenhouse builders who will assist you every step of the way. They use a team of skilled contractors and have an array of equipment at their disposal. 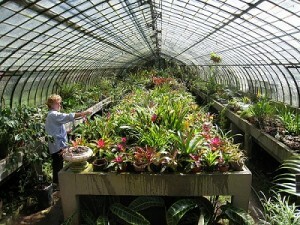 Most professional greenhouse services, like Glass Garden Builders, is a one-stop solution to all your greenhouse woes. Perhaps the most advantageous outcome of inculcating this methodology into your gardening is that you will potentially be economizing a significant amount of cash. 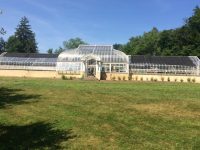 Moreover, greenhouse cultivation will make you more conscientious about a salubrious locale, where your plants will be considerably healthier, and with lesser signs of infirmity.